Microsoft’s 2017 may as well be known as the year the company turned away from the consumer and, sadly, back toward the enterprise. This past year was notable for two casualties: Microsoft’s phone business finally died, as did Groove Music, the music subscription service that Microsoft abandoned in favor of Spotify. In fact, you could argue that Microsoft’s software and services didn’t succeed nearly as well as its hardware, where a new generation of Surfaces and Xbox One consoles were generally well received. But ennui clouded all but the brightest spots in Microsoft’s roadmap: the Surface Laptop, Surface Book 2, and the Windows 10 Fall Creators Update. It didn’t help that management seemed to feel that staid enterprise Azure and Office 365 represented Microsoft’s future, either. Now, question marks hang over Microsoft’s plans for 2018. The spark is there, but will consumers care? History will tell us that Windows phones died at about 17 years of age, dating back to Pocket PC 2000’s release in April of 2000. 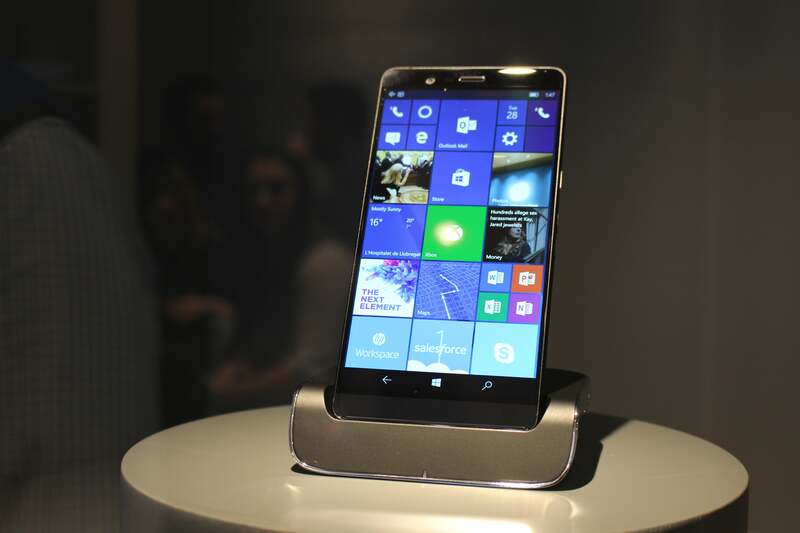 Since then, Microsoft’s mobile aspirations changed names several times, including a run of “Windows Phone” releases. At one time, Microsoft was nearly the dominant smartphone OS, but a vicious cycle of declining development resources and user migration to Android and iOS ultimately doomed it. Windows 10 Mobile was the last, doomed incarnation, dragging with it the once-great Lumia smartphone lineup, as well as several partnerships with third-party phone makers that ultimately went nowhere. 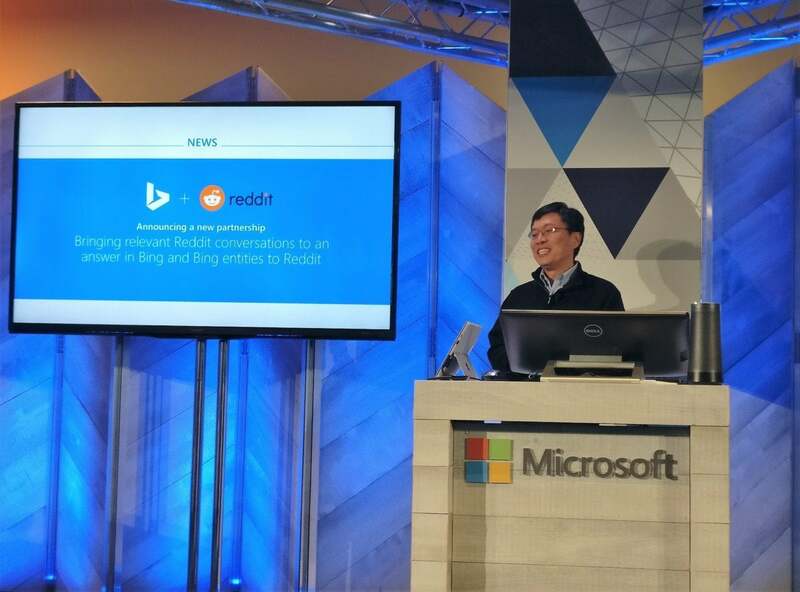 Today, it lives on in spirit, together with numerous Microsoft-branded apps written for iOS and Android. 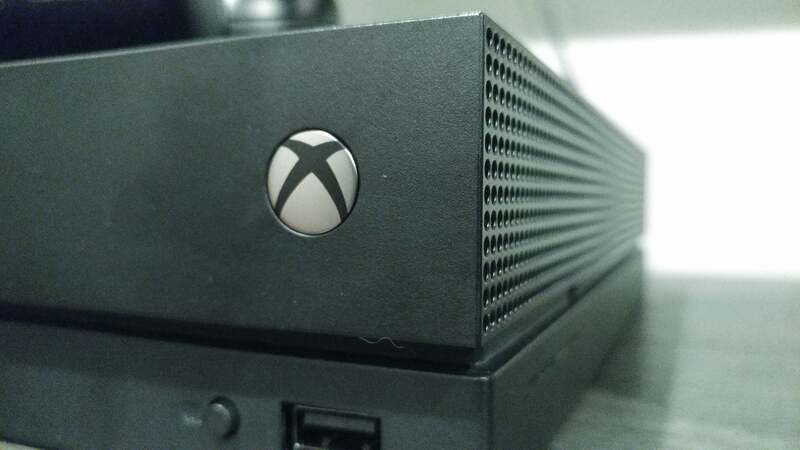 Microsoft launched the most powerful console in existence, the Xbox One X, to accompany the Xbox One S. But the story’s the same: Without the games, you’re nothing. Microsoft scored a major exclusive with Player Unknown’s Battlegrounds ($30 on Amazon), the hottest game of 2017 (and one that barely runs acceptably on the Xbox One X), plus some multi-platform games that run beautifully. But Nintendo’s resurgence and Sony’s strong stable will make this holiday season a tough one. Give Microsoft credit, though: Its Netflix-like Game Pass, unmatched backward-compatibility efforts, and its underappreciated stable of indie games strengthen the platform. 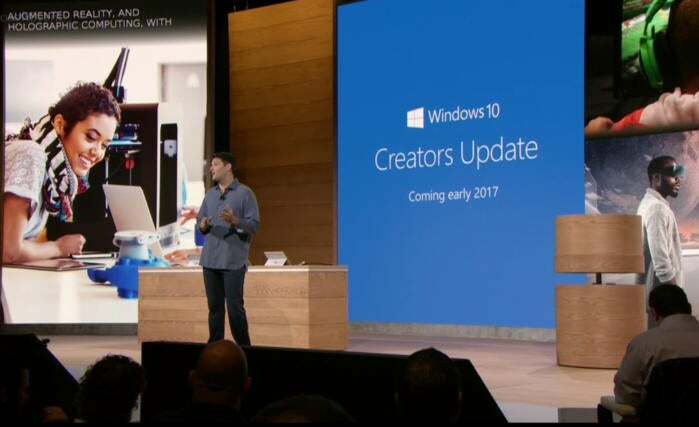 As positive as I was with the original Windows 10 Fall Creators Update review, I think we have to accept that Microsoft’s spring 2017 update simply wasn’t as consequential as originally planned. Game Mode, inking on images and videos, and Paint 3D moved the goalposts for PC creativity, but generated little buzz. (Heck, if it’s not on an iPhone, most people don’t seem to know about it.) I still haven’t forgiven Microsoft for what they left out, including a handheld 3D scanner app that was pure vaporware. Sure, some of these features surfaced within the Windows 10 Fall Creators Update, but I hope Microsoft learned a lesson about over-promising and under-delivering. On balance, I’m much more positive about the Windows 10 Fall Creators Update than the earlier Creators Update. Sure, some of this was scheduling: The (tepid) My People bounced out of the CU and into the FCU basket, for example. 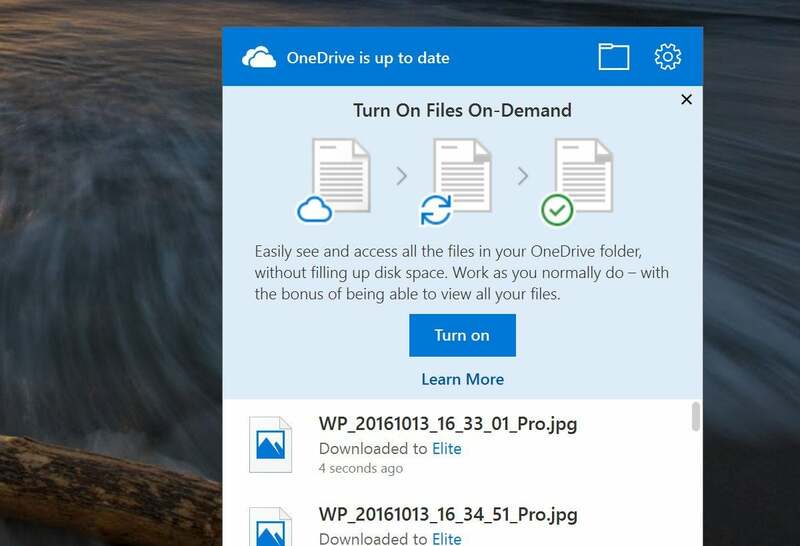 But even small, practical updates—OneDrive Files on Demand, improvements to battery life—helped overcome rather significant flops, such as Windows Mixed Reality. 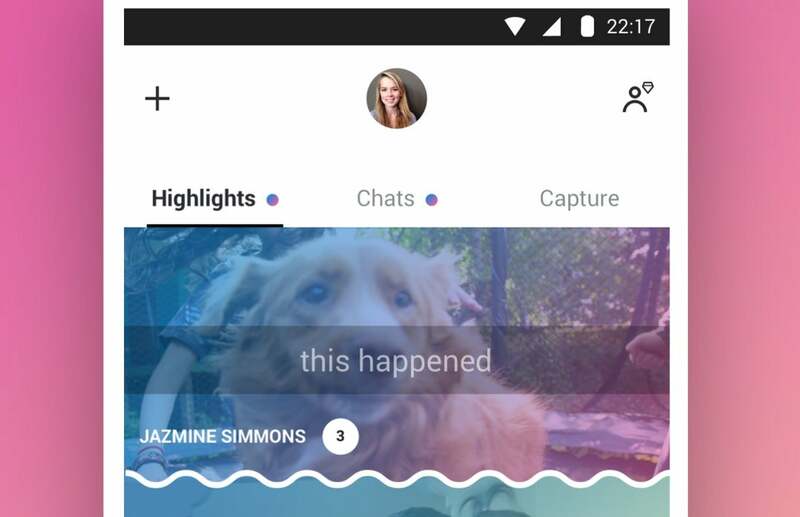 Dictation, eye control, and pen improvements will be welcomed by those who use them. But Microsoft continues to bury its improvements within the OS so deeply that the vast majority of users will never find them. This needs to change. On balance, it’s hard to recommend an operating system predicated on limiting user choice to the small selection of first- and third-party UWP apps. Why would Microsoft even consider this? In part, I suspect because they were anticipating Windows 10 S would be the OS powering the new generation of Qualcomm Snapdragon PCs, which suffer some performance hits when running traditional Win32 apps. 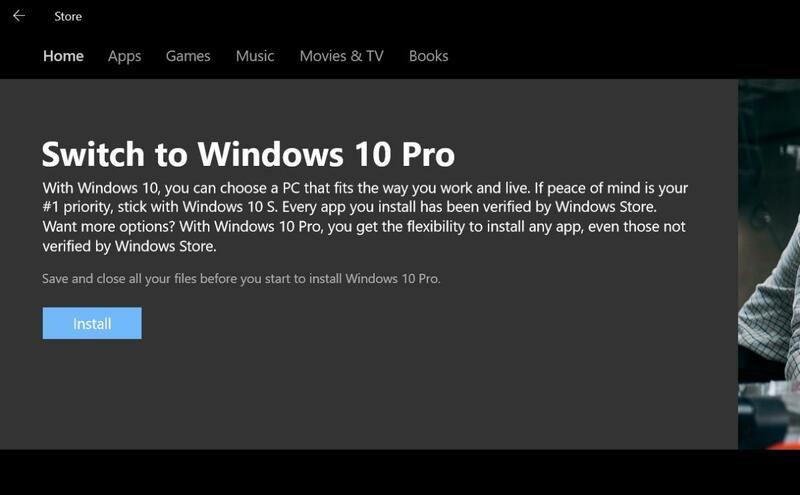 Restricting the user to Windows Store apps eliminates the problem. But Microsoft’s first crop of Windows 10 S educational notebooks missed the cutoff date for the fall semester, and we really can’t see anyone actively seeking out an Windows 10 S PC, ever. What an odd choice for an OS, especially after the failure of Windows RT. 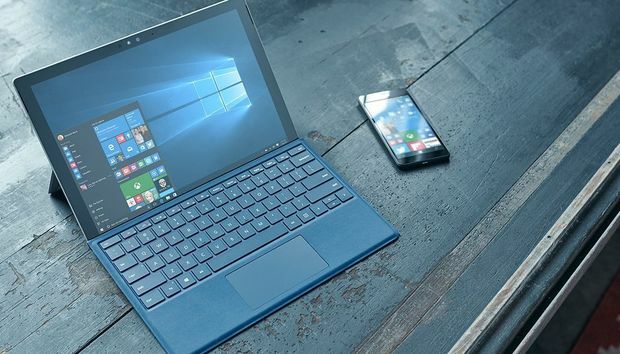 By now, you might think that Microsoft had nailed down the design of a Windows tablet. And it mostly has. Microsoft’s Surface Pro is a marvelous piece of hardware, but competitors like HP and others are equally determined. As always, such intense competition produced a crop of excellent Windows tablets for the benefit of you, the consumer. We dinged the Surface Pro (2017) a bit for its lack of ingenuity and high price. 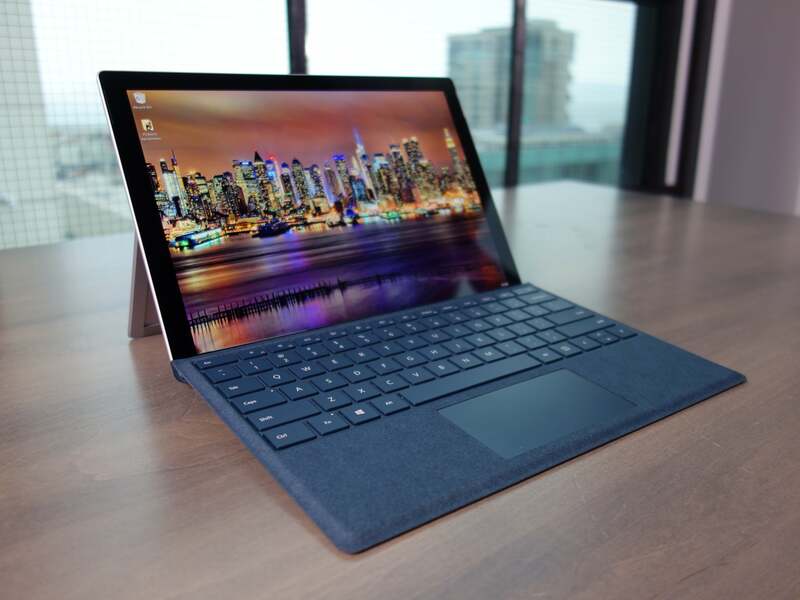 In reality, though, Microsoft’s Surface tablet line continues to succeed. 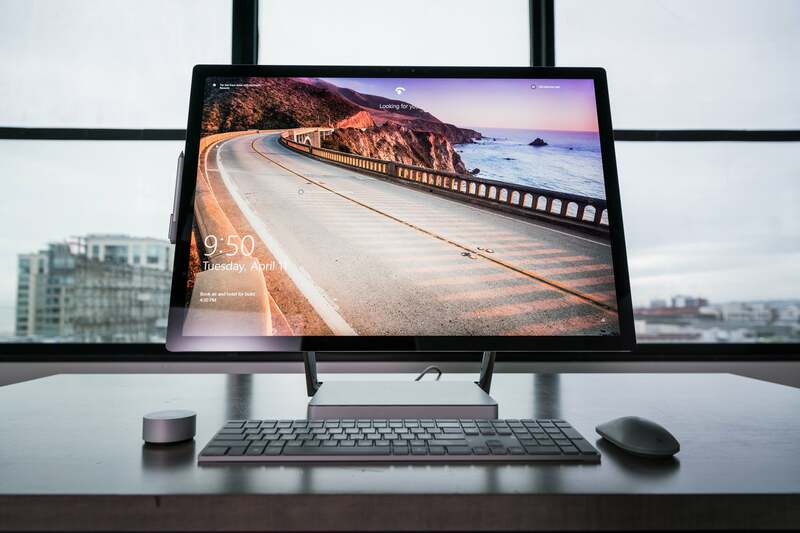 Microsoft’s Surface Studio was a product few people probably knew they wanted—and I’m not sure how many bought. Microsoft clearly bet on its massive, beautiful touchscreen as the selling point to lure artists away from Apple and its Cinema Displays. And Microsoft may have achieved that. But like most everyone else, we would have liked more powerful, desktop-class hardware to complement that enormous display (which we still hope will be sold separately). For consumers, the Studio was like those holiday commercials where people wrap up a new Lexus for one another—a beautiful fantasy. 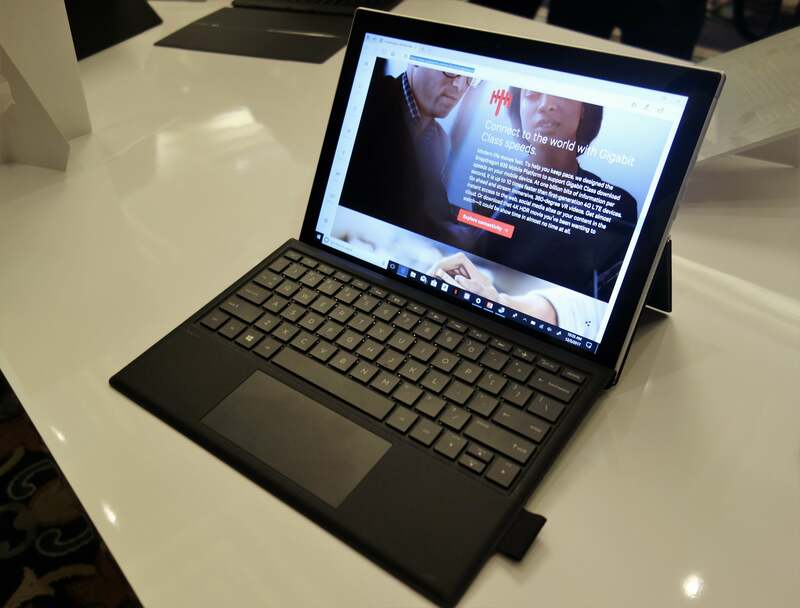 Microsoft's own Terry Myerson is a cheerleader for a new generation of PCs powered by Qualcomm’s Snapdragon chips. This new species is overturning the traditional metrics of price and performance for something new: 24-hour (or so) battery life and constant connectivity. But Qualcomm's already scknowledged that Snapdragon PCs will run traditional Win32 apps at a performance penalty, and Microsoft hasn’t yet enabled 64-bit UWP apps to run on top of the Snapdragon platform. We reserve judgment on the Qualcomm-equipped Windows 10 PCs coming from Asus, HP, and Lenovo, because we haven’t tested them. This will probably be one of the most intriguing PC stories of 2018, so stay tuned! I’ll back anything that helps cut down on my inbox, and Focused Inbox delivers. 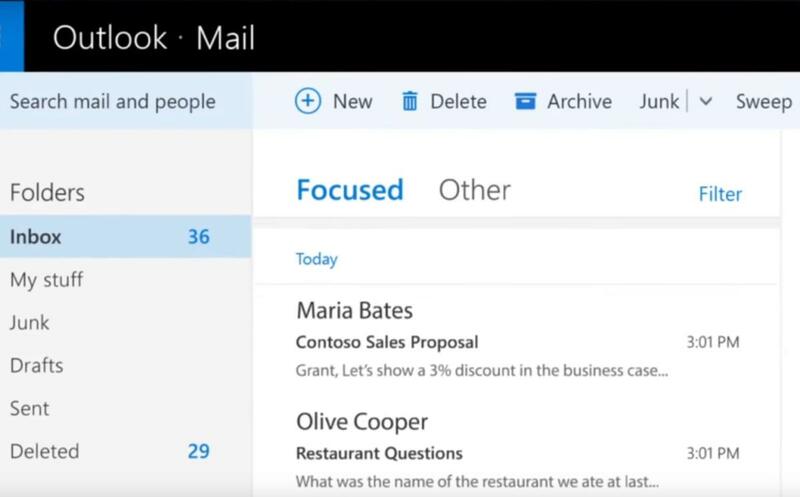 Both Clutter and Focused Inbox show your most important email as you receive it, allowing you to dive deeper into your “actual” inbox much less frequently. I still have issues with how Microsoft breaks up functions like email into web apps, apps for Windows 10, and versions for Office 365. However you slice it, though, Focused Inbox is a feature I’m continually thankful for. 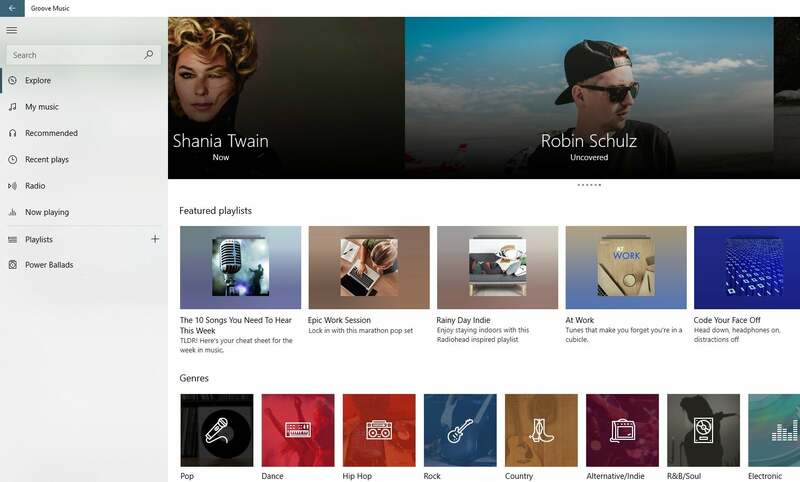 Count me among the fans of Groove Music, Microsoft’s subscription music service that Microsoft will turn off at the end of this year. With Pandora, Spotify, Apple Music, Google’s services, Deezer, and others all selling roughly the same service for the same price, we were overdue for a shakeout, and Groove got the axe. Groove doesn't deserve this fate. It’s a clean, well thought-out music service with custom playlists, recommendations, and curated music choices. Fortunately, Microsoft struck a deal with Spotify to transfer purchased music and playlists over to the competing service, softening the blow. We're already struggling to separate fake news from the real thing, and “alternative facts” from empirically proven realities. So Bing’s decision to a.) include “both sides” in its search results, and b.) base some of that perspective on opinion from Reddit and elsewhere, is flabbergasting. More and more, I can’t help but think that the Surface Laptop represented the apex of Microsoft’s arc during 2017. And yes, that was with a laptop whose operating system, Windows 10 S, was criticized both on our pages and the rest of the Internet. 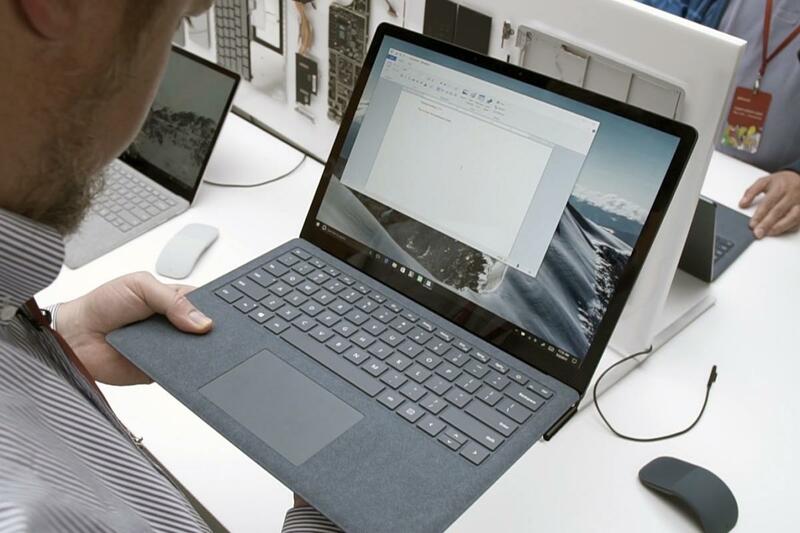 But Microsoft knew exactly who it was designing for with the Surface Laptop—students, first and foremost—and very clearly addressed their needs. 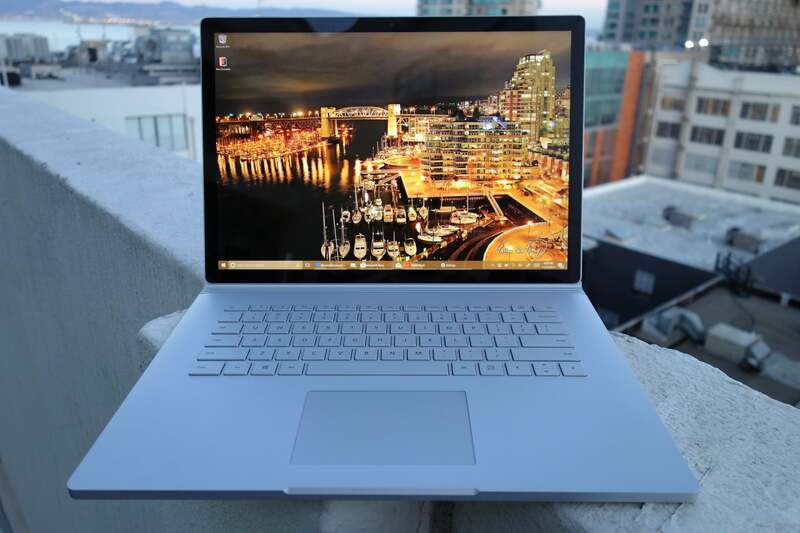 Microsoft's Surface Book 2 never quite managed to capture the buzz that surrounded the first Surface Book, and we’re not quite sure why. It’s far more powerful, with a larger 15-inch option to satisfy those looking for a larger display. Maybe two-in-one notebooks are already passe? Other flaws hurt the Surface Book 2, notably an inability to run 3D games when connected to the Surface Dock, a subset of its embarrassing power problem. All this left us a little concerned that the Surface Book 2 line may be tapped out without a major overhaul. Part of our job at PCWorld is to criticize: Pointing out where companies fail, but also highlighting underappreciated efforts. 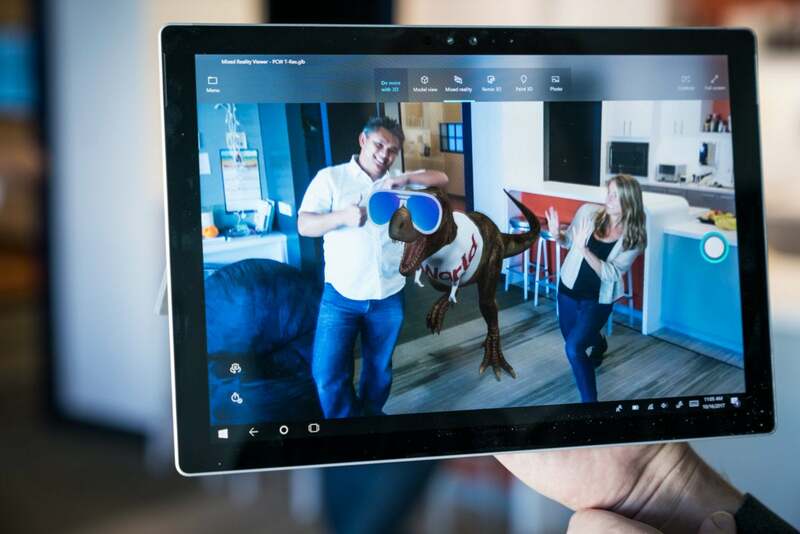 Paint 3D, Mixed Reality Viewer, and Photos (Story Remix) fall into that latter category. Ironically, the app that received the most attention during 2017 was Paint, when the Internet spent a heart-rending few hours wondering if Microsoft would kill it. (It didn’t.) But Paint 3D, Mixed Reality Viewer, and Photos (Story Remix) are just plain fun. If you don’t think so, let your kids have a crack at them. Just doodling around with Photos should keep them occupied while you dive into a holiday book. Or try them yourself. You’ll believe. We keep waiting for Windows Mixed Reality to land. Oh, it has landed? You’d never know it. 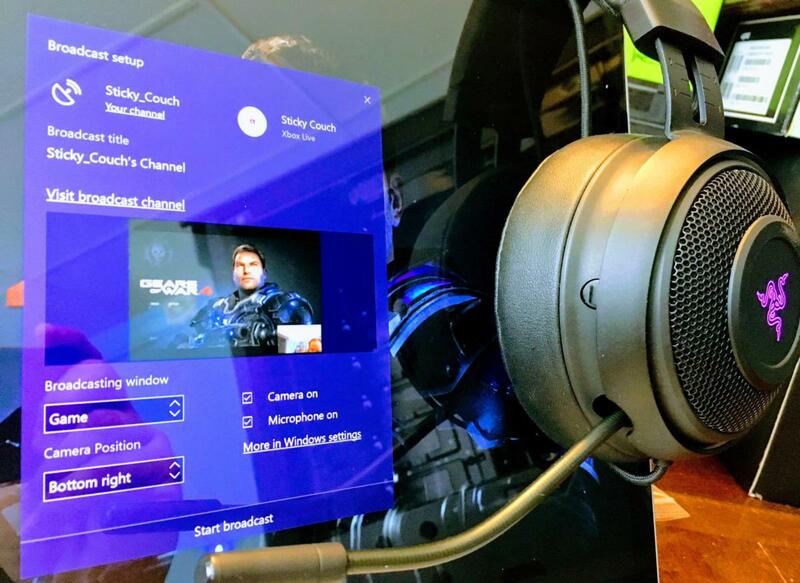 Microsoft went deathly quiet after headsets from Acer, HP, Lenovo, and others launched alongside the Windows 10 Fall Creators Update in October. Meanwhile, Microsoft’s partnership with Steam to bring its library of VR games to Windows languishes in betas and development mode. Wandering through a “cliff house,” stapling apps to virtual walls and such sounds futuristic...and entirely impractical. 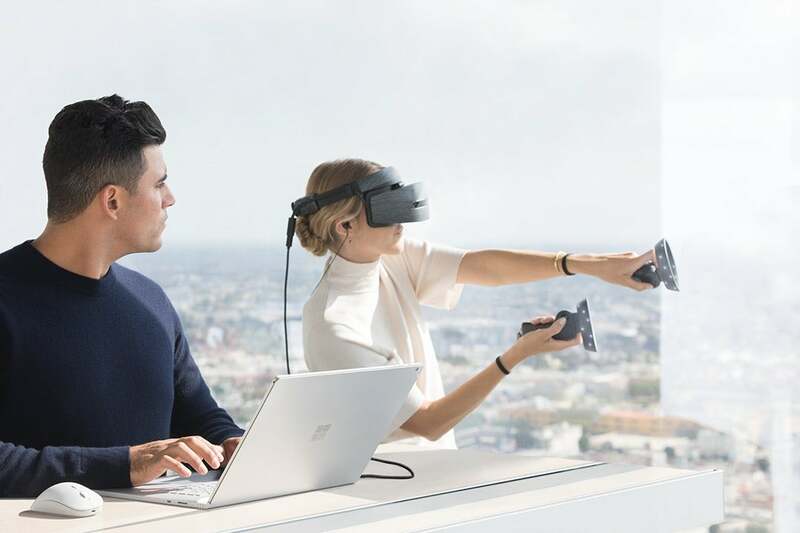 That’s not to say that the concept of mixed—oh hell, Microsoft, just call it virtual reality—sounds useless. But until the software is there to support Microsoft’s cohesive vision, Windows Mixed Reality isn’t worth your time. 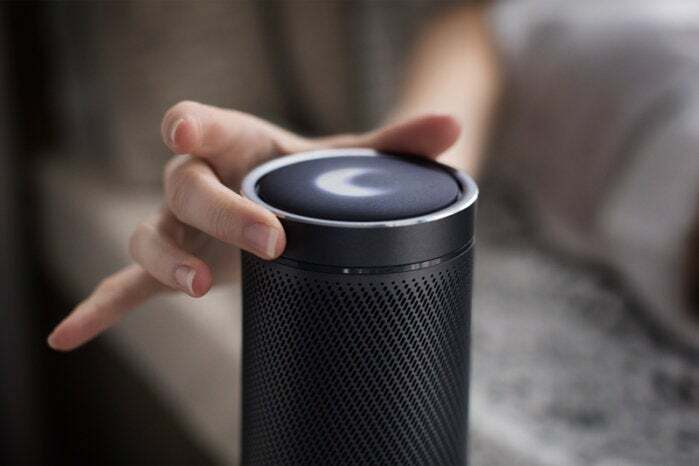 I’ve tested smart speakers powered both by Google and Microsoft’s Cortana, and the Harman/Kardon Invoke holds up. Amazon’s Alexa-powered devices support the most skills, and simplify shopping to just a word or two. Devices running Google’s Assistant also seem a bit better at understanding natural language. But the Invoke’s audio quality is very good, and as a speaker it tops almost everything that Amazon (and even Google) currently ship. Microsoft’s hopes of establishing an ecosystem look decidedly less optimistic after the cancellation of the Mattel Aristotle and (possibly) connected cars, but for now Microsoft is holding tough. We tried it, evaluated it, then went back to Slack. So did everyone else, we expect. We tried it, evaluated it, then went back to Twitch. In all seriousness, I prefer Beam to Twitch. The fewer numbers of subscribers and excellent interactivity make it easier to follow along and actually interact with streamers. But too few seem to agree. 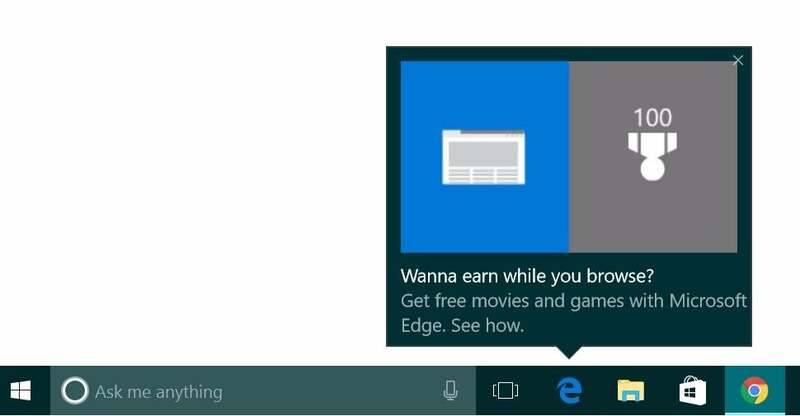 A popup ad that promotes Windows 10’s Edge browser and Bing Rewards. I’m going to infuriate a few members of PCWorld’s staff who believe that anything that distracts from their pristine PC experience merits a rain of all-consuming hellfire. And if we’re talking underhanded ”Click the X” tactics, I agree. But I’ve said time and again that Microsoft needs to put its new features front and center, and I’m perfectly willing to tolerate a “Hi, user! We’ve added a cool new feature we think you’d like!” popup once or twice. Not only does it promote interaction, feedback, and inevitable improvement, but notifications are now simply a component of how we interact with devices. In fact, I’d encourage Microsoft to add more. A splash screen? A chatty update, tucked inside the Notifications? There are possibilities here. From the start, I had an uneasy feeling that the new Skype’s emphasis on everything but Skype might not be well-received. 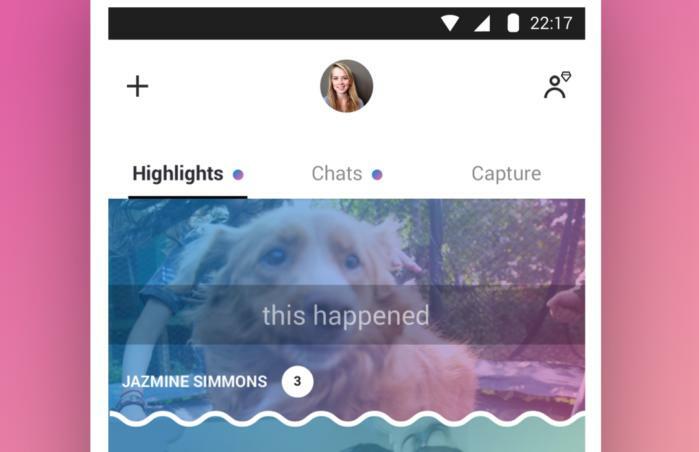 But from what we could tell, the Internet simply hated it (and later turned on Snapchat, the seeming inspiration for Skype’s redesign). You can’t blame Microsoft for trying to pep up Skype with shared experiences and live feedback, features that Periscope and other apps had successfully employed. 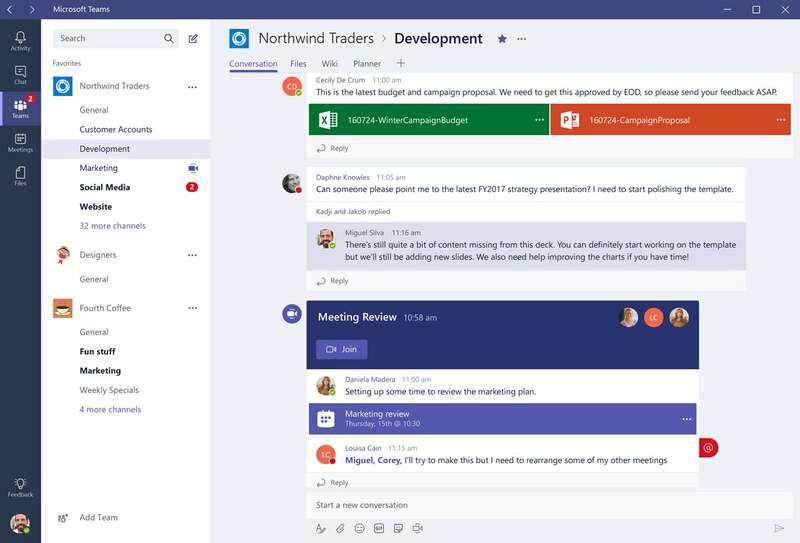 But consumers and businesspeople alike seemed to want Skype’s simple, traditional messaging and videoconferencing app, and Microsoft gave them something...else. I’ve always preferred Google Keep—it’s simple, clean, and roams between devices conveniently and easily—but Microsoft’s To-Do doesn’t quite work as well as Wunderlist, the app it will eventually replace. For one thing, Microsoft bridges note-taking and actual tasks between two separate apps, Sticky Notes and To-Do, while Wunderlist includes elements of both. And Wunderlist is still a superior app, period. 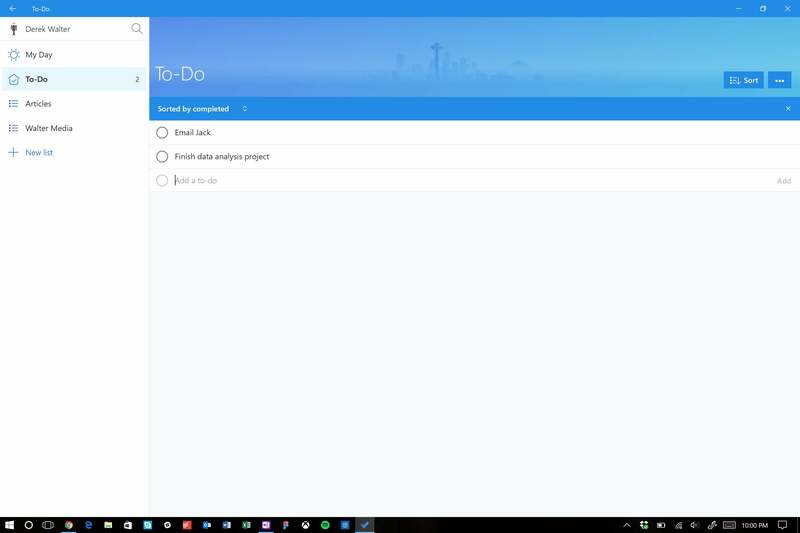 Microsoft hasn’t quite killed off Wunderlist, as it had originally planned to do, but Wunderlist hasn’t been updated since February. It’s a real shame.